Free Kale Superfood Nourishing Day Moisturiser | FreebieFinder UK | Freebies, Samples, & Other Free Stuff. 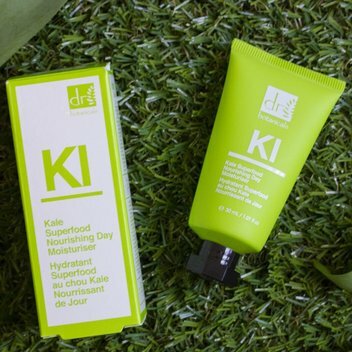 You can get your hands on a free Kale Superfood Nourishing Day Moisturiser from Dr. Botanicals on their website. The Kale Superfood Nourishing Day Moisturiser aims to smooth and improve the appearance of your skin whilst proving nourishment and hydration. Get a free Kale Superfood Nourishing Day Moisturiser (unfortunately £5.99 P&P still apply) by visiting the Dr. Botanical's website, adding one to your cart, and entering the code BOTANICALS at the checkout.